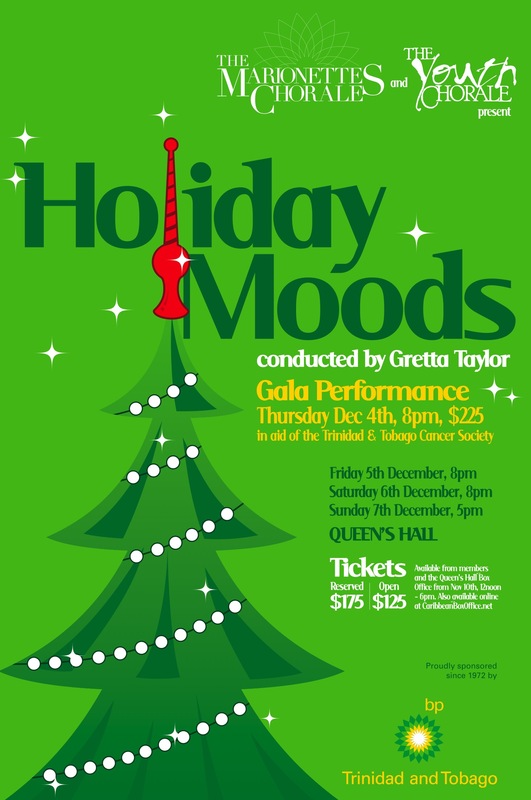 As they prepare for 45th Anniversary celebrations next year the Marionettes Chorale will begin the festivities with their annual Christmas production, Holiday Moods, which is scheduled to open at the Queen’s Hall, St. Ann’s on December 4. The show will continue through that weekend until the 7th with a special matinee on the 6th included for senior citizens and children from various institutions across the island. The Senior Choir and Youth Chorale are each now tightening their respective presentations before coming together to rehearse the integrated segments of the show. Holiday Moods will feature a mix of classical, spiritual, gospel and Caribbean music with the Yuletide theme woven into the entire presentation. Of course there will be parang and other traditional favourites that people look forward to hearing at Christmas. Opening night on December 4 will be a gala evening the proceeds of which will go towards the Cancer Society. Also on this night is the launch of the Marionettes new Christmas CD collection entitled, Sing Noel, which will be available for sale at Queen’s Hall throughout the run of the concert. The matinee on December 6 is being sponsored by bpTT and is being specially designed for institutionalised elders and children. BPTT will provide transportation for these special guests who will also each receive a treat bag following the show, which will be specially designed for their enjoyment and comfort. BPTT has always lent support to ventures such as these by the Marionettes and in fact over the past 36 years the company has steadfastly served as the choir’s main sponsor allowing it unbridled creative freedom. In fact bpTT Chairman and CEO, Robert Riley is a former member of the choir and continues to maintain a close relationship with it. Musical Director, Gretta Taylor continues to drill the singers while the orchestra is in rehearsals under direction of Leslie Clement. Desmond Waithe is doing the musical arrangements for the local segment of the show and Randy Halfide is working on the set design. Tickets are scheduled to go on sale at the Queen’s Hall box office from November 10. As they look forward to celebrating their 45th anniversary next year, the Marionettes senior and junior choirs are working hard on two must-see upcoming performances. The choirs will be performing in “Voices & Steel” as part of the Steelpan Jazz Festival this Sunday 25 October, then enter the home stretch for their anticipated December concert, Holiday Moods. At Voices & Steel, the Chorale will once again team up with the Noble Douglas Dance Company, the Police Band, a vibrant team of percussionists, Celia Wells for lights, and Randy Halfhide for sets to re-mount the highly successful tribute to local composers from their July concert. December’s Holiday Moods, meanwhile, will weave the Yuletide theme through a mix of classical, spiritual, gospel, popular Christmas favourites, and local calypso and parang. The Marionettes will also launch their latest Christmas CD, Sing Noel. 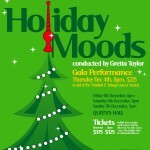 Holiday Moods opens on December 4 with a fundraising gala benefiting the Trinidad & Tobago Cancer Society. In collaboration with sponsors bpTT, the group will also present a special matinee on December 6 for senior citizens and children from various institutions across the island, for whom bpTT also will provide transportation and holiday gift bags. These performances are the ones to which the Marionettes most look forward, and have always received enthusiastic and steadfast support from bpTT, the group’s main sponsor since 1972.